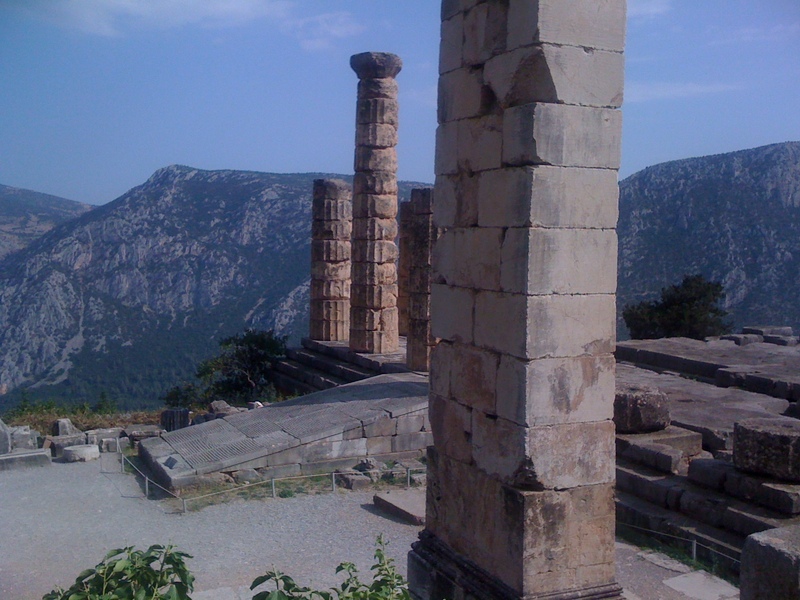 FYI, the picture at the head of my home blog page is of the temple to Apollo at Delphi in Greece. I took the photo in the summer of 2010. If you’ll recall, people would travel from all over to ask questions of the priestess at the temple, who supposedly had a direct line to the god. She’d go into a kind of mystical trance and come up with an answer for them. Sometimes the answers were cryptic and meant something different from what they seemed to say. The phrase ‘Know Thyself’ was inscribed on the temple wall. Sure, I’ve got a lot of time on my hands. I’ll start a blog!